It’s only logical that we look for ways to spend money without it costing us money in the process. Many retailers, including Toys R Us, Wal Mart, Kmart and Sears, are introducing lay-away plans again. This used to be the popular way of buying pricier goods until the credit card industry was off and running. Now, though, with the tough financial times Americans have been experiencing, lay-away has made a strong comeback and the retailers that employ it are reporting brisk sales. What you might not know, however, is you might can serve your purpose while bypassing the down payments and “holding” fees most retailers require for their lay-away programs. If you’re shopping for a new credit card, look for one that has an introductory 0% APR draw. Many credit card offers not only offer these freebies, but many are offering up to the 15 months for new card holders. This means you could cover the expensive holidays and provided you’re disciplined enough to pay off the balances within a few months (and certainly within the 15 months many offers now include), you very well could avoid additional fees for all that Christmas swag you’re wanting to purchase. The Discover More card is one offer that’s extended for fifteen months on both purchases and balance transfers. That means that balance you’re carrying from last Christmas can be moved over to your new 0% intro APR card, making it a great time to go ahead and get it paid in full. Another incentive many card offers now carry is cash back bonuses for those who spend a certain amount within the first few months of their account. Most recently, Discover announced its own cash back incentive. Discover applicants will earn $150 cash back after spending $1000 during their first ninety days of opening their account. Meanwhile, Chase Freedom Visa is offering a $200 cash back bonus for making $500 in purchases during the first three months. Plus, you’ll earn an additional 5% cash back for purchases made on gas, airline tickets and hotels. The rotating categories work great, too. The credit card companies know when we’re most likely to spend money on, say, gas for our vehicles. Vacation season, traditionally during the summer, is the ideal time for these additional cash back bonus categories. Keep in mind that Discover’s offer is new and it’s likely it was timed brilliantly for the holiday season, which explains why its cash back bonus might not be as generous as its competitors. While the 0% intro rates and cash back bonuses are going to be your big money savers, don’t underestimate the savings associated with those offers with no annual fee. Depending on which cards you choose and qualify for, in some cases the annual fees can be as high as $450. Choose wisely and don’t overlook those money saving offers. Be sure to hit your credit card’s website, too. 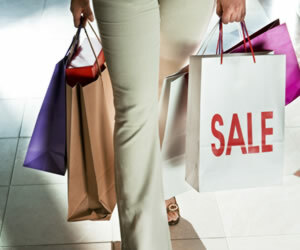 You can often do your shopping through their sites and enjoy impressive savings (50% off in many instances). Of course, we’re not discouraging consumers from taking advantage of lay away plans or other offers from retailers; what we are saying, however, is that there are many smaller things you can do that collectively can add up to big savings each year. And which the holidays on our heels, every penny we don’t have to spend can only be a good thing. Be sure to carefully review the terms and conditions. The last thing you want to do is take advantage of a great offer only to lose it with a late payment (which is likely in many of today’s most popular credit card offers). Finally, if you’re sure your credit scores won’t support an offer, your best bet is to bypass it. Choose those card offers you’re confident you can get approval for.